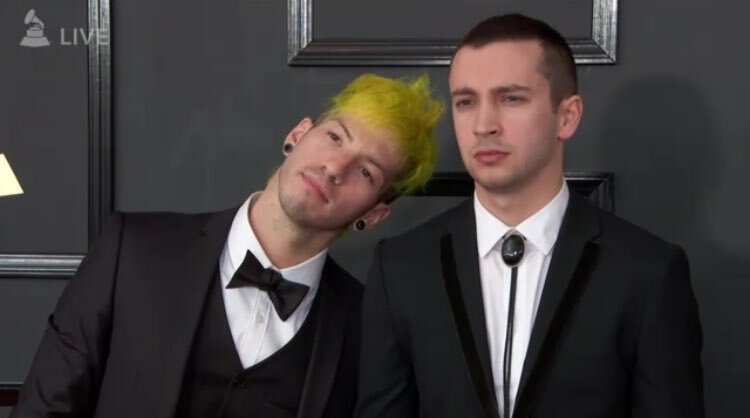 PSA: Josh has yellow hair and Tyler is wearing a bolo tie. 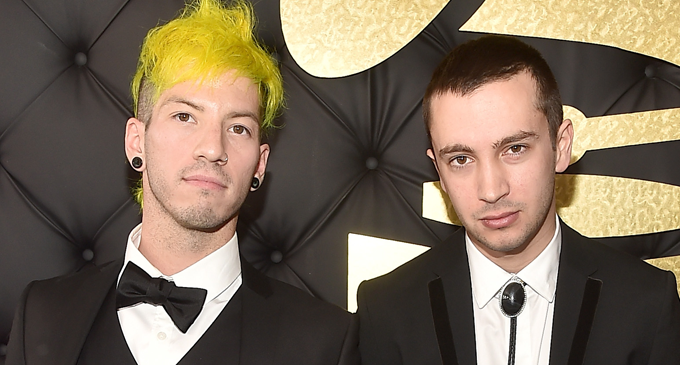 When Twenty One Pilots were announced as nominees for this year's 57th Annual Grammy Awards, we screamed and then we couldn't help but wonder... what will they wear? What colour hair will Josh go for? Will he wear merch again? Will Tyler take another bath? Will he bring back Blurryface? So many questions. 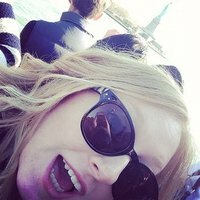 Looks like we finally got our answer. Please enjoy these wonderful pictures of two bois from Ohio on the red carpet at the most prestigious night in the music industry. 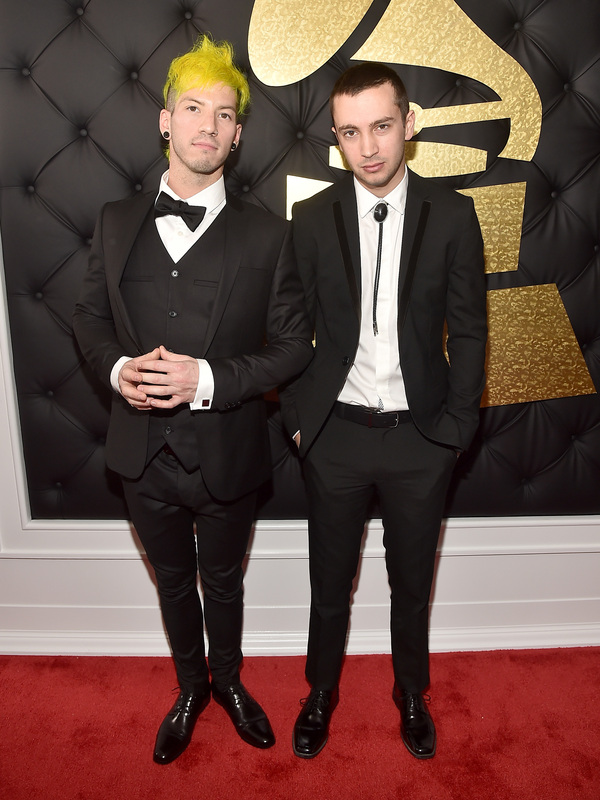 Here they are, Grammy-WINNING duo Twenty One Pilots or... Josh and Tyler if you will. 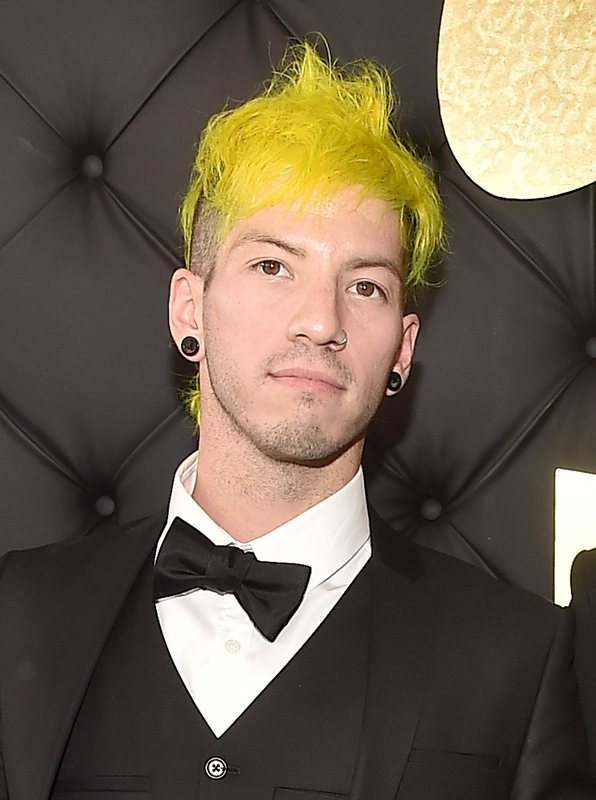 Josh has yellow hair - he is literally Josh Dunshine. It even matches Jenna Joseph's dress. Ryan Seacrest: So Jenna, what inspired you to wear this bright yellow dress tonight? 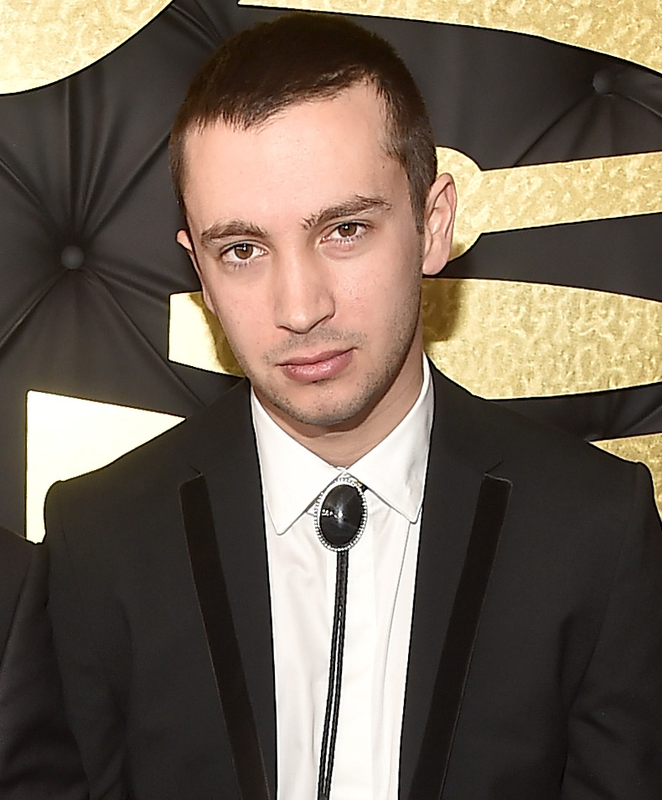 And Tyler is wearing a bolo tie - look at it. Our skin is clear, our debts have been erased, world peace has been restored. Here they are on Snapchat being cute AF.